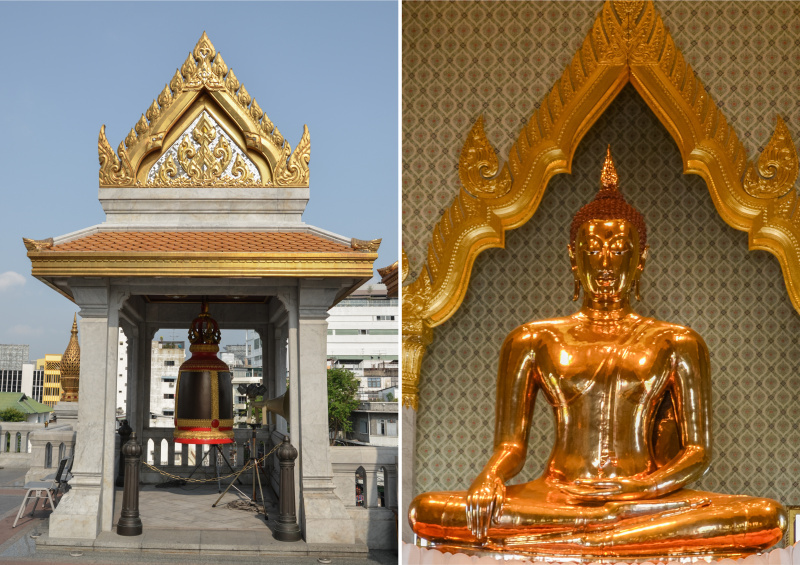 Bangkok is a city with hundreds of Buddhist temples. I remember that I had a guide showing me all these temple names and pictures and I wasn’t really sure about which one should I choose first. At the end, you will be glad if you can choose few out of hundreds to visit. 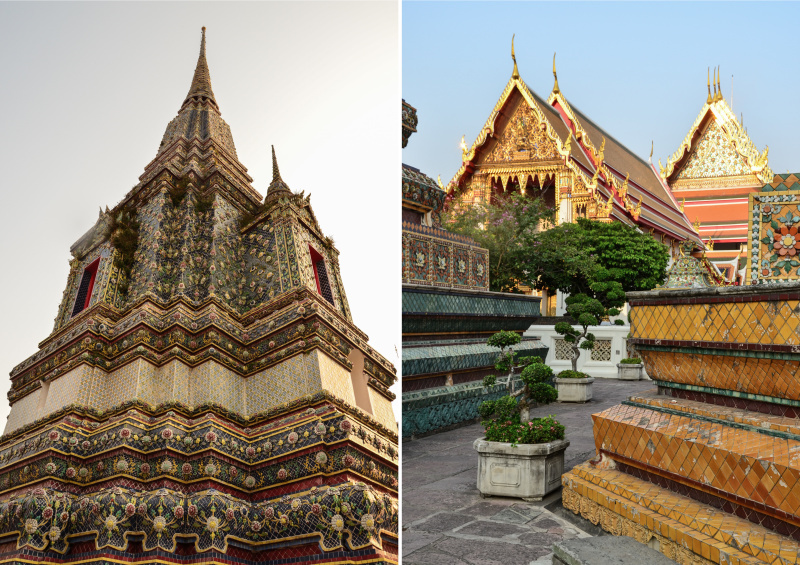 In order to help you with the choice, I made a list of 5 temples in Bangkok worth visiting! 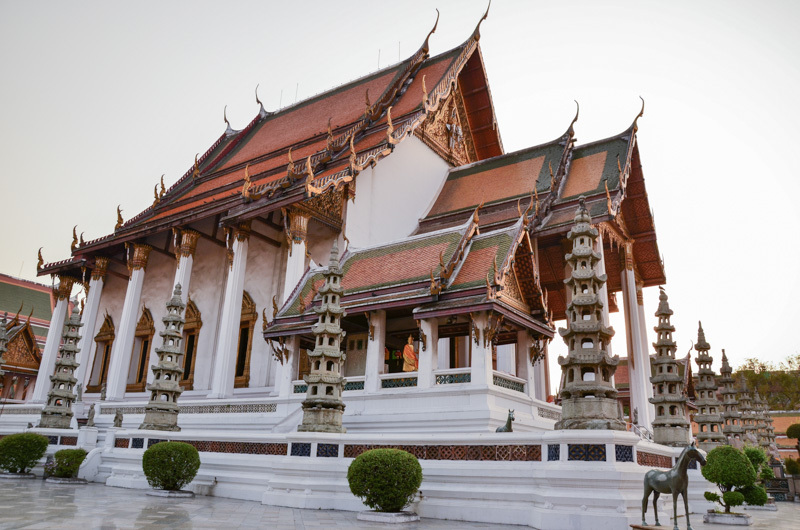 Just remember to cover yourself properly before entering any of these temples so that you are not surprised that you might not be allowed to enter (covered shoulders, knees, closed shoes are usually the basic requirements at the most important temples of Bangkok). 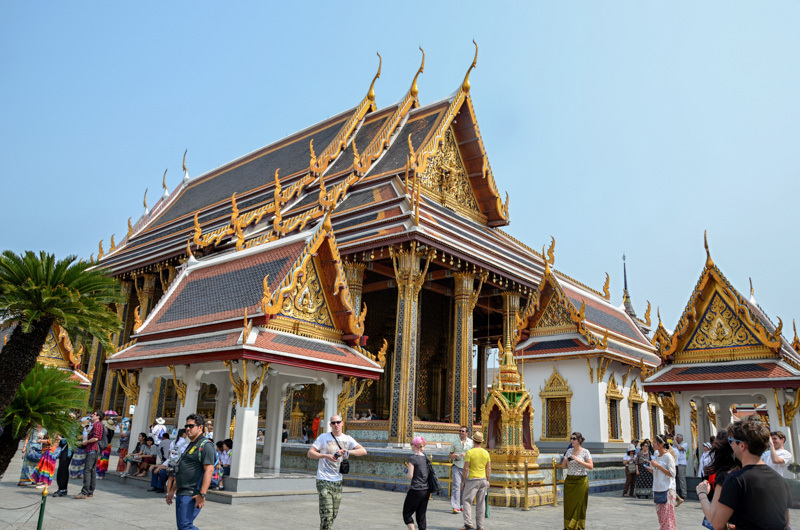 The Royal Chapel (Wat Phra Kaew) is located in the complex of the Grand Palace and is the most sacred Buddhist temple in Thailand, particularly because it houses the most sacred statue of Thailand – 66 cm tall dark green statue of Emerald Buddha. 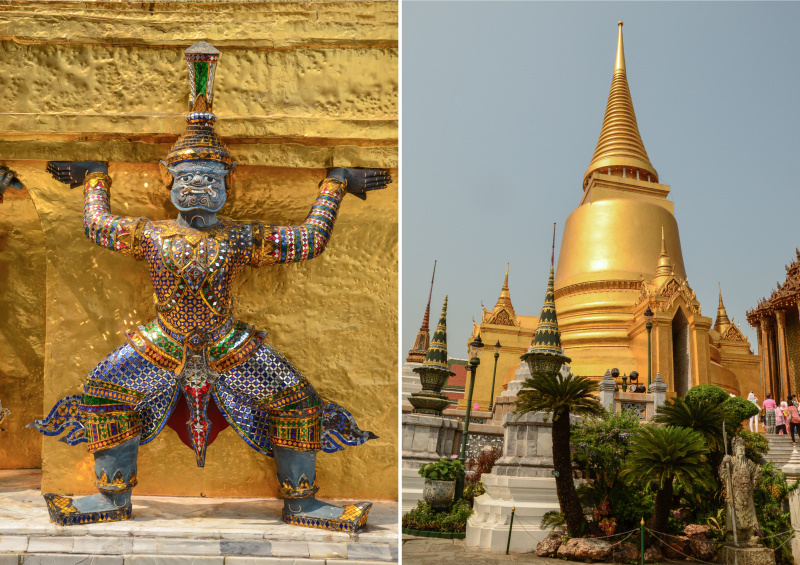 The statue sits on a golden altar and at the beginning of each season, the king himself used to change its clothes. There are no pictures allowed in the temple, so you will not see here the statue on my blog. 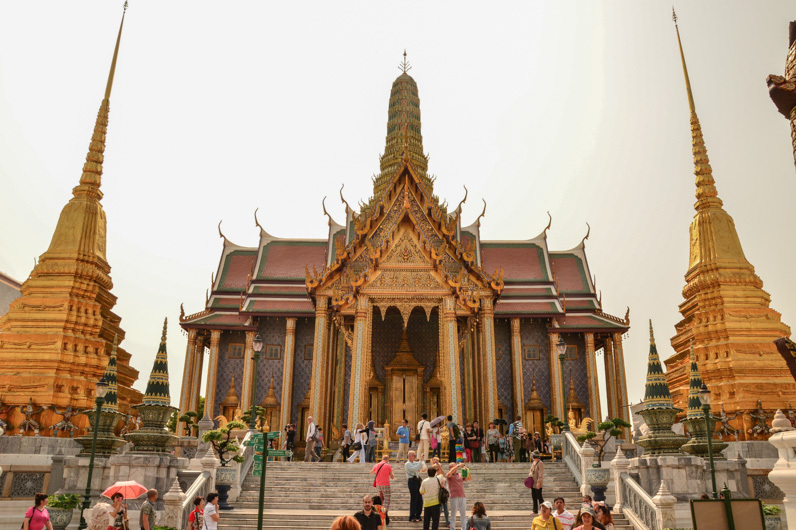 This temple is one of the most splendid attractions in Bangkok and I really recommend you to reserve a whole day to visit the Grand Palace and Wat Phra Kaew, and then continue to Wat Pho which lies nearby. 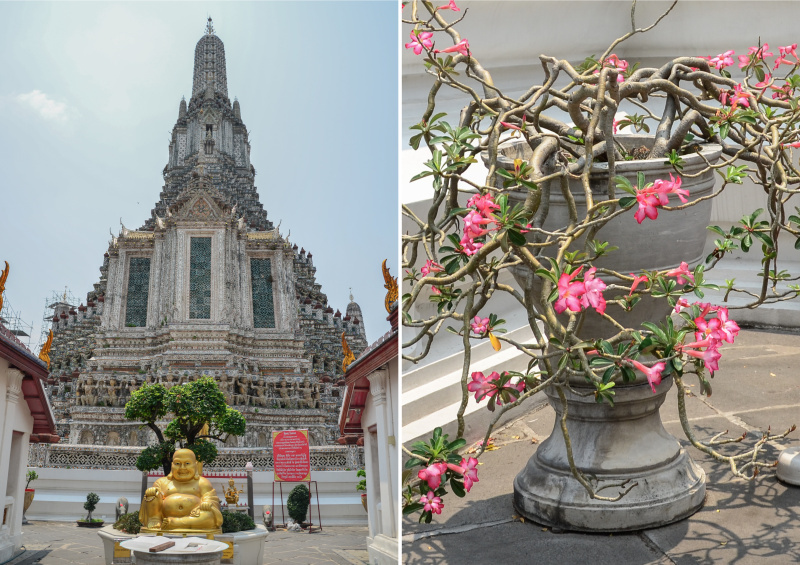 Wat Pho, also called Temple of Reclining Buddha, is one of the oldest and largest Buddhist temples complexes in Bangkok and one of the must-see attractions in the city. 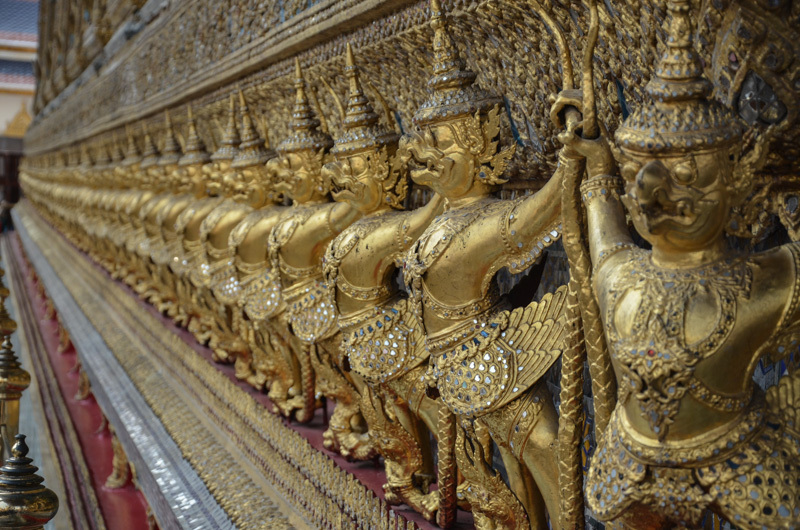 It is situated about 10 minutes’ walk from the Grand Palace and Wat Phra Kaew, so you can plan the visit of both for the same day. 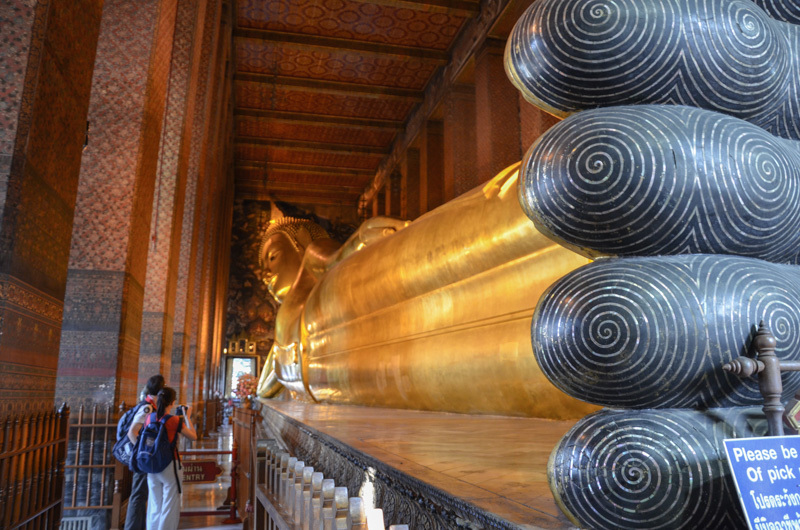 Inside the temple, you will find the largest statue of lying Buddha entering into Nirvana. The statue is 46 meters long and 15 meters tall and is covered in gold leaf; the feet are decorated with mother-of-pearl illustrations. 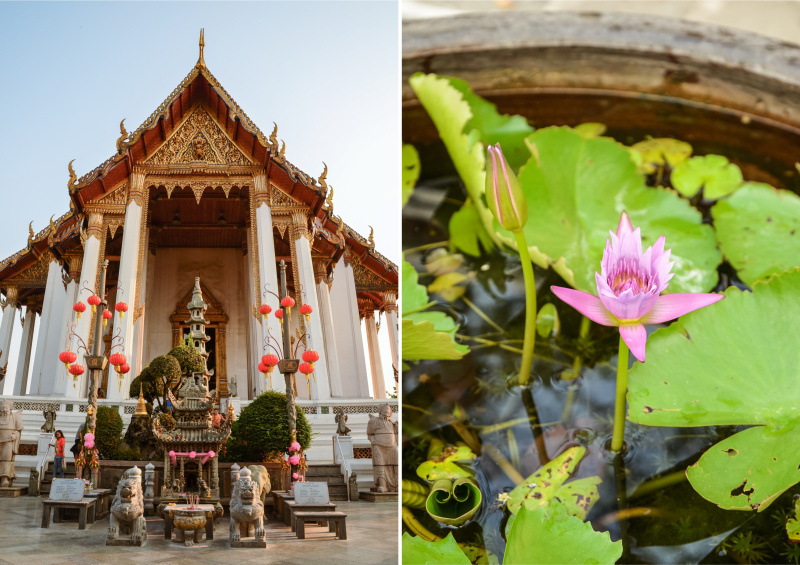 Around the temple, there are more than 90 colorfully decorated chedis where one can admire detailed ceramic pottery flowers and other ornaments on those chedis. 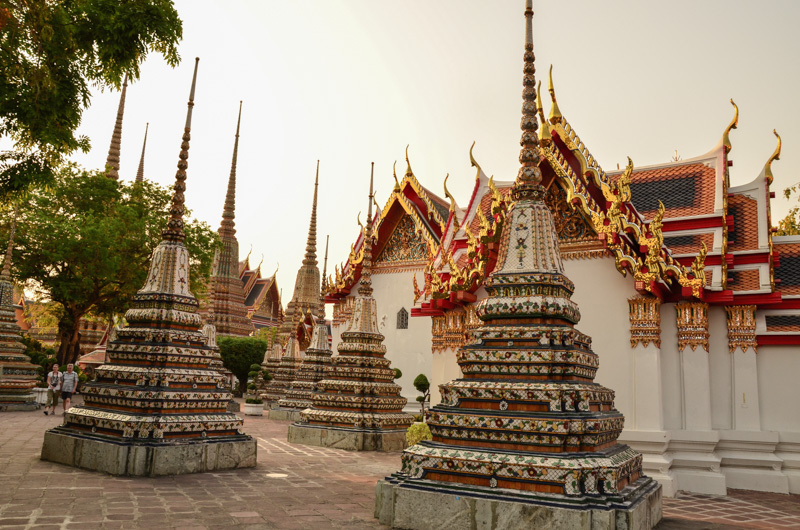 About 70 of those chedis contain ashes of the royal family and 20 bigger ones contain some relics of Buddha. And you know what? 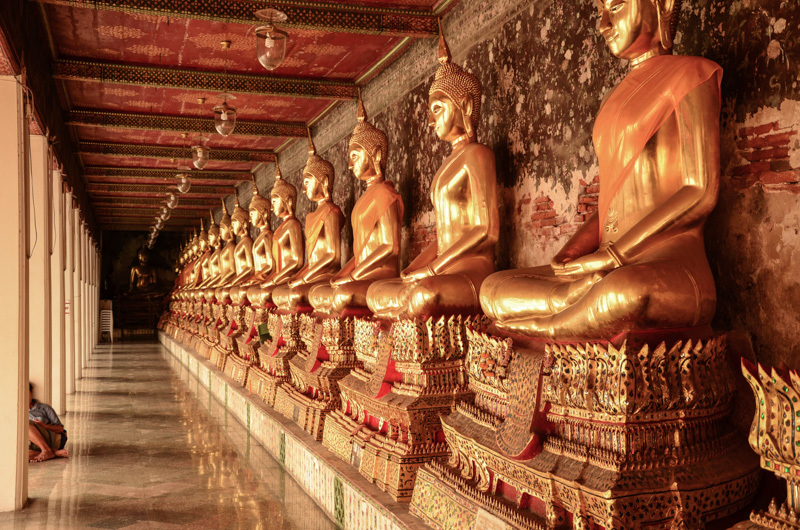 Wat Pho has the vastest collection of Buddha statues in the whole Thailand! 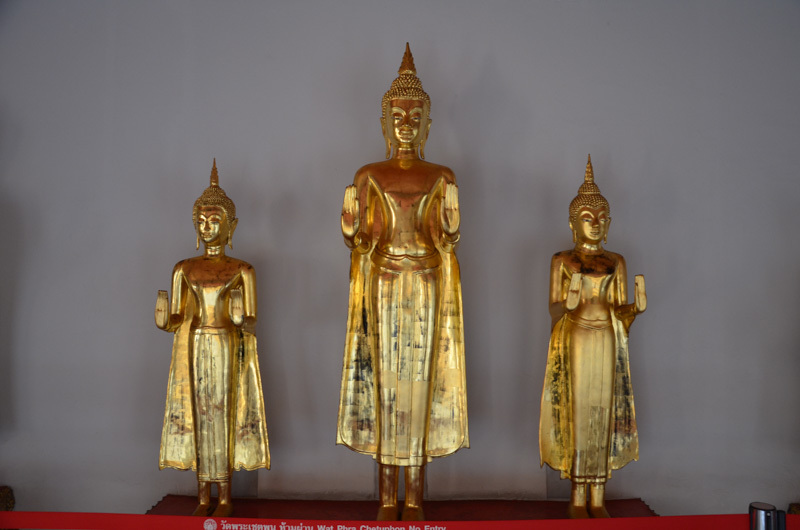 You can see statues from various parts of Thailand, but also from China. P.S. If you feel like trying a Thai massage in Bangkok, here is the place to do so! One of the leading schools of traditional Thai massage is situated in the complex of Wat Pho and you can even have a massage there for a fee. Wat Suthat is one of the oldest and most impressive Buddhist temples in Bangkok that holds the highest royal temple grade. Rama I. ordered this temple as a house for an 8 meters’ high bronze Sukhothai style Buddha from the 13th century, but the works weren’t finished until the reign of Rama III. in the first half of the 19th century. The temple is a masterpiece in terms of interior architecture. Inside of the main chapel, you can admire wall frescoes detailing incarnations of Buddha. At the lower terrace base, there are 28 Chinese pagodas symbolizing 28 Buddhas were born on this Earth. 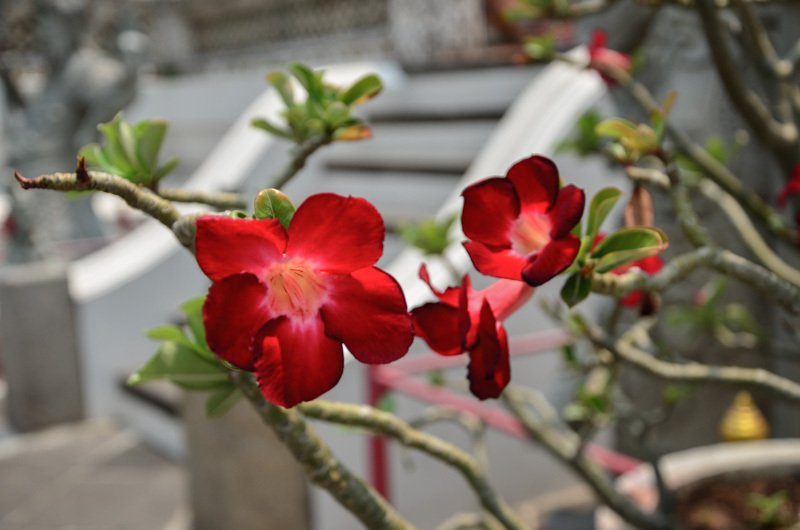 The cloistered courtyard is surrounded by a gallery with 156 Buddha statues and 4 entry gates with hand-carved gates. 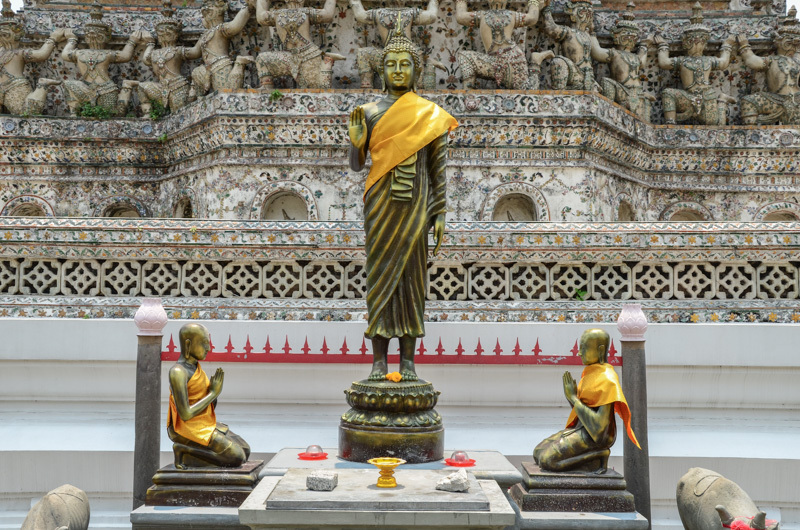 When in Chinatown, don’t forget to visit Wat Traimit, a temple hosting the largest golden seated Buddha in the world! 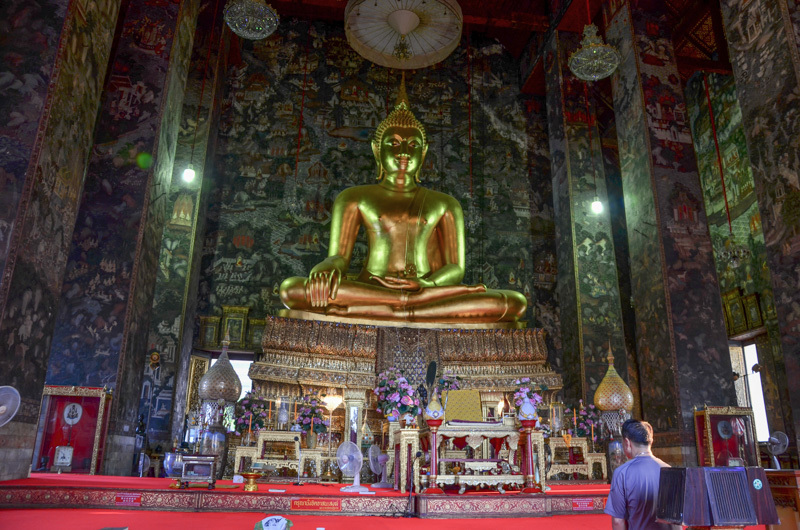 Nearly 5 meters high statue of sitting Buddha has unclear origins but probably comes from the Sukhothai period (13th – 14th century). The statue is 5.5 tons heavy and is made of 83% pure gold and therefore it values millions of dollars nowadays. 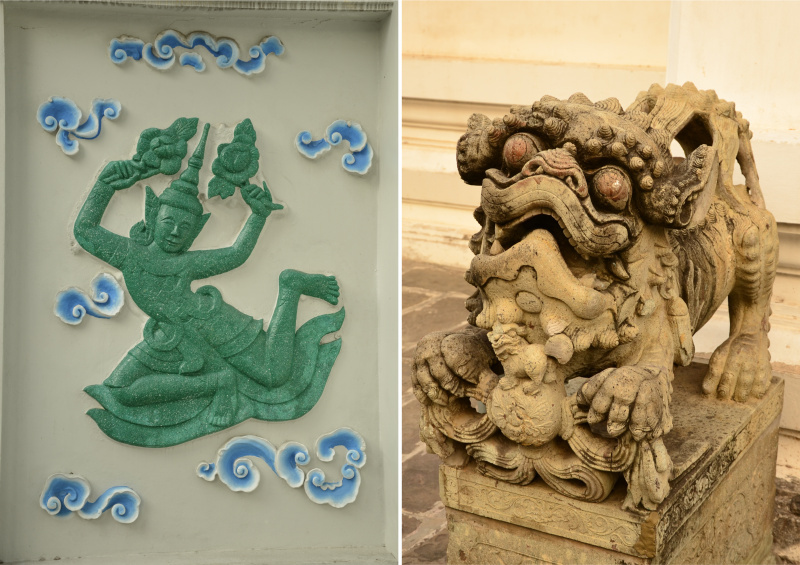 If you are interested, you can also visit an exhibition here about how the statue was made and discovered or a museum of Bangkok’s Chinatown. This temple changed its name several times in the past and the current one comes from the period of Rama V. after the Indian god of Dawn, Arun. 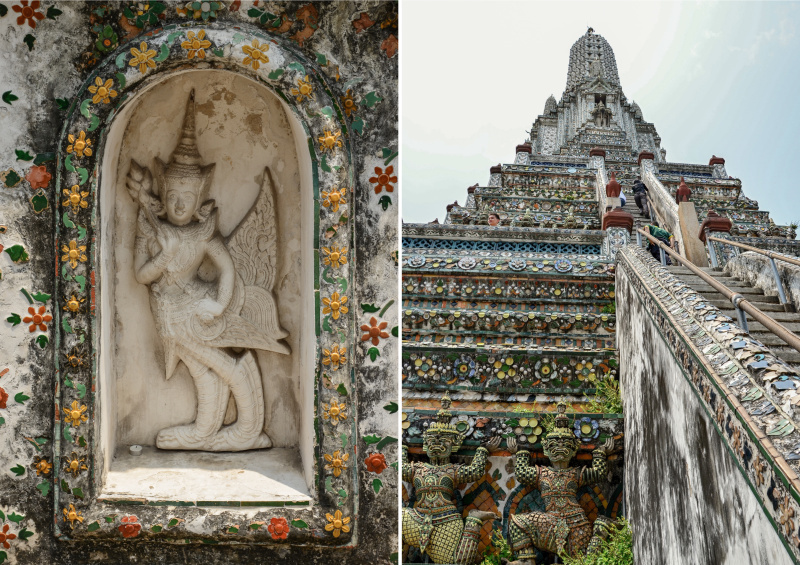 Even nowadays you might see both references “Temple of Dawn” and “Temple Wat Arun”. 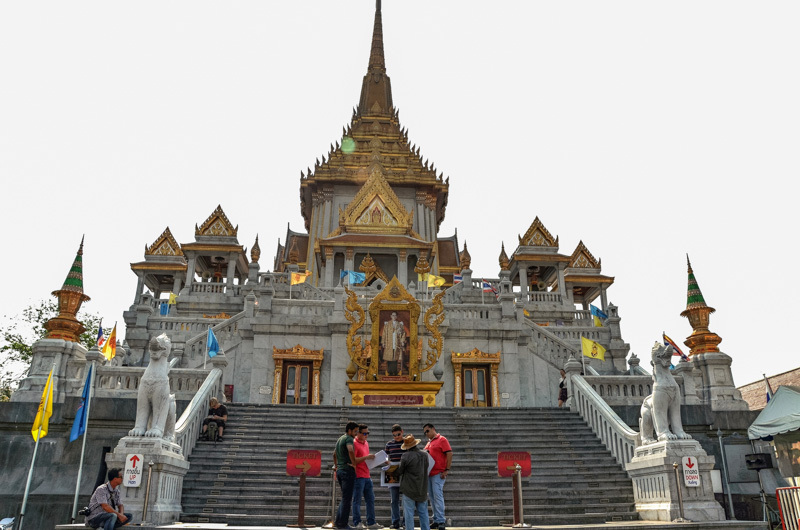 In the past, the temple used to serve as a Royal Palace for few generations since the king Taksim left Ayutthaya and arrived in Bangkok (1768) and it used to be a house of Emerald Buddha before it was moved to Wat Phra Kaew Temple on the other bank of the river. 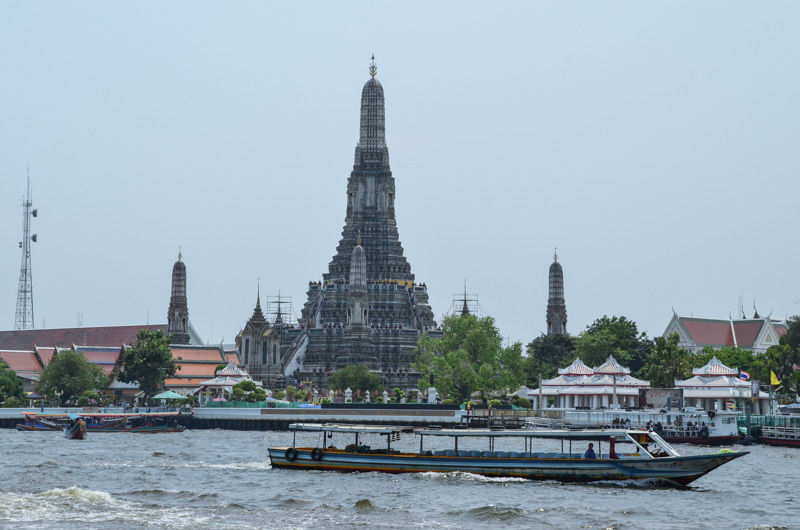 Wat Arun is definitely another one of the temples in Bangkok not to miss. Particularly because it is an impressive landmark rising above the Chao Praya River. But also because it is architecturally different from the other temples – it is composed of several prangs decorated in the first half of the 19th century with Chinese porcelain and color glass. 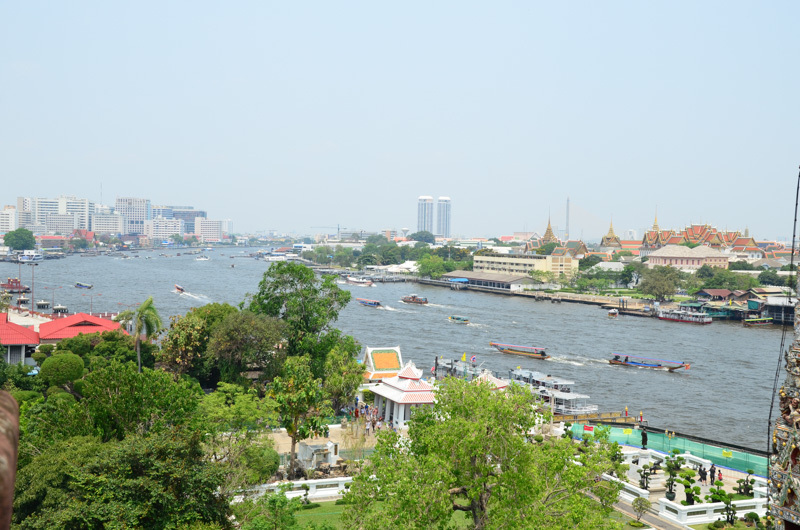 You can climb up on the main prang and enjoy a great view of the Chao Praya River and the city. Did you enjoy this post? Then please share it on social media or pin it for later!